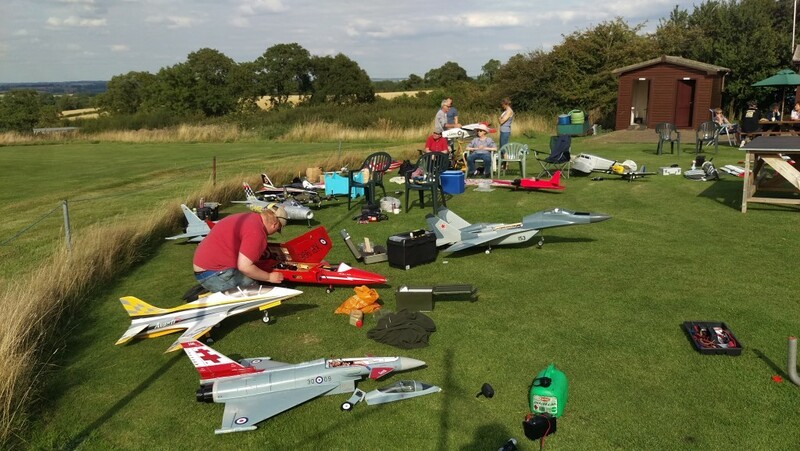 Andy Green made a fantastic job of organising another very enjoyable day’s Carrier Deck competing at the Leicester MAC’s excellent facilities. 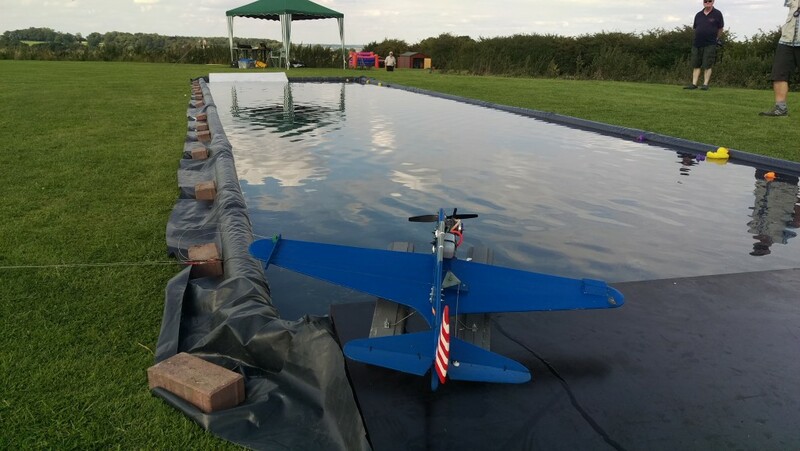 On offer this year were several bonus attractions, including a round of the new “Schneider Trophy” waterplane event, a free BBQ (it was the Club’s gala day! ), an unexpected flypast appearance of the BBMF’s Avro Lancaster and most importantly, a glorious summer day’s weather. 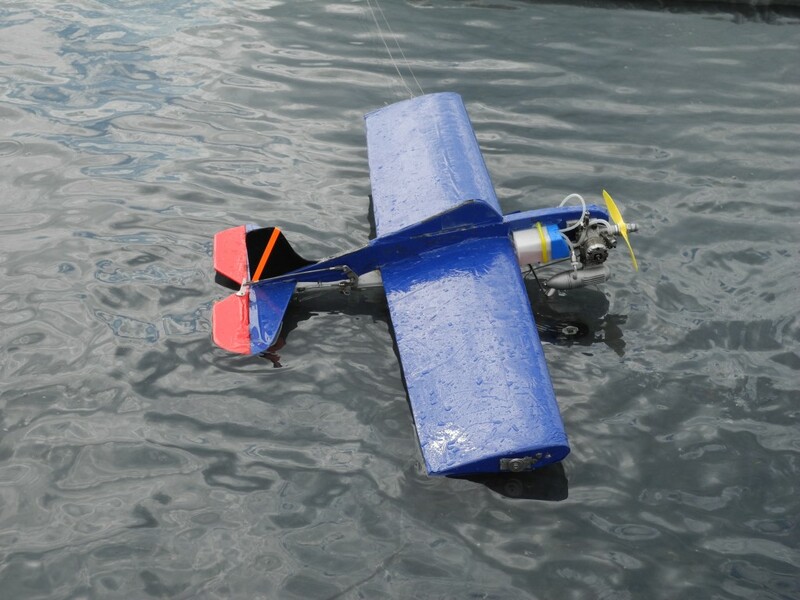 Let’s look at the seaplane contest first. 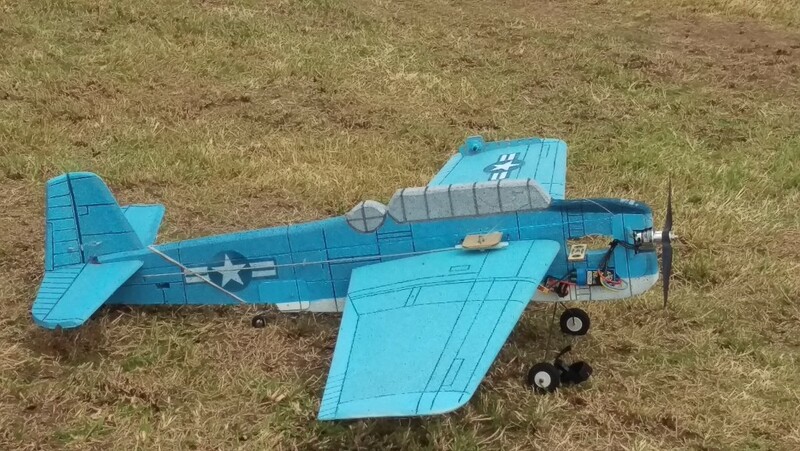 Ian’s model took off, flew and landed perfectly, dealing with the difficulties of propwash, getting the model to plane, and landing withing the length of the tank, and scoring good points for speed and loiter too. 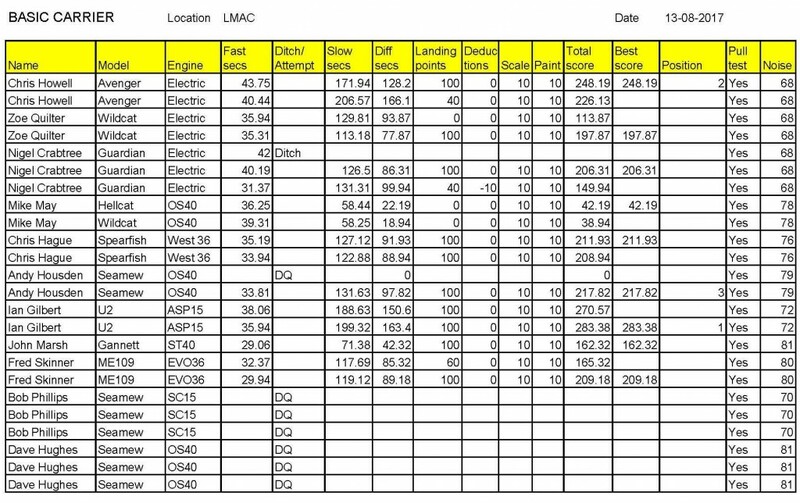 Ian is sticking with SC .15 glow power and conventional balsa construction, scoring a best of 46.13 fast and 156.88 slow, racking up 230.8 points total to take second place. 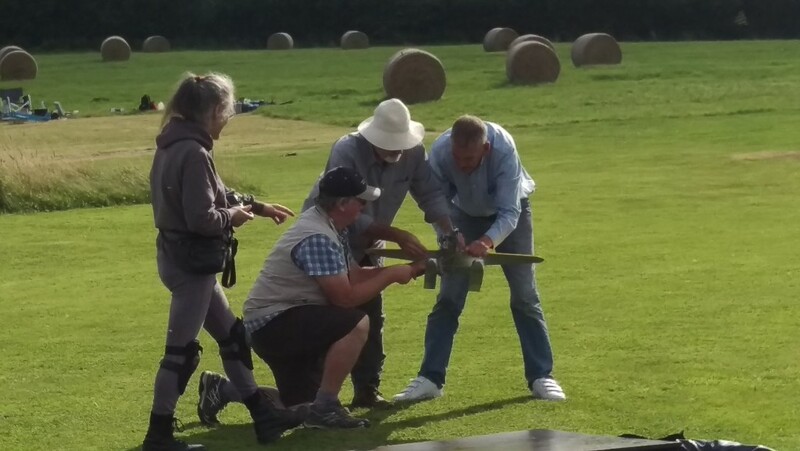 …and he eventually got airborne, putting in a respectable flight and a good landing (shouldn’t that be “watering”?). Andy’s best flight yielded 47.75 fast and 105.13 slow points, and a final total of 177.4 for third place, using an SC .25 for power. The Coot didn’t get past the “fast” segment of the competition this time, with a leisurely 68.75 seconds followed by a landing (rather than a ditching!) for a DQ. 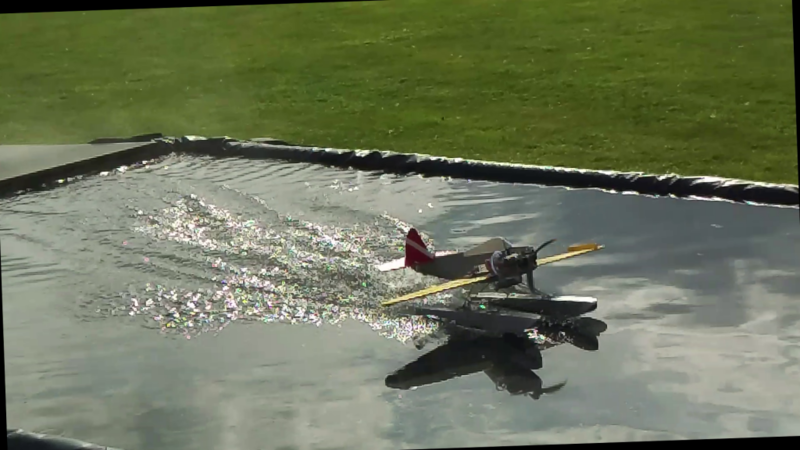 Chris then took the Cessna afloat, flying mid-40 second fast sectors and a best of 130.3 on the slow, with perfect landings both flights. 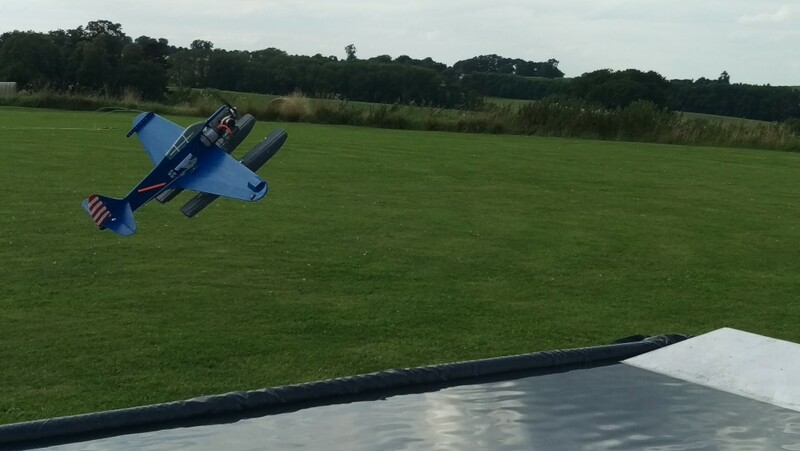 His winning score was 250.3, which would be a very respectable deck flight – well done Chris! 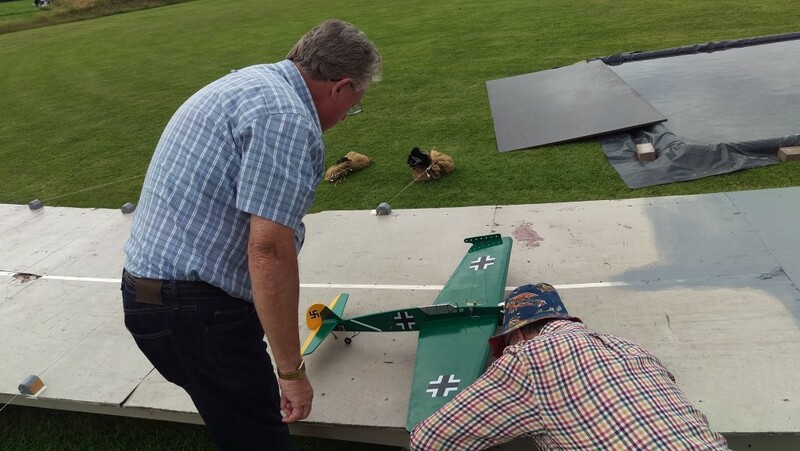 Fred Skinner also participated, with a Hallam’s Plate model with OS 25 power, clocking up a best of 157 points for his two flights. … and Chris won’t be complaining about the 43.75 / 171.94 he scored to take second place with 248.2 points; however, he could have bettered even this with his second flight times of 40.44 / 206.75 but for a less-than-perfect landing that added only 40 rather than 100 points to make 226.13 – add another 60 to that for a perfect landing, and Chris would have won the contest with over 288 points! Nevertheless, he is flying very well and these foamies of his are very, very competitive. Next time, maybe, Chris? 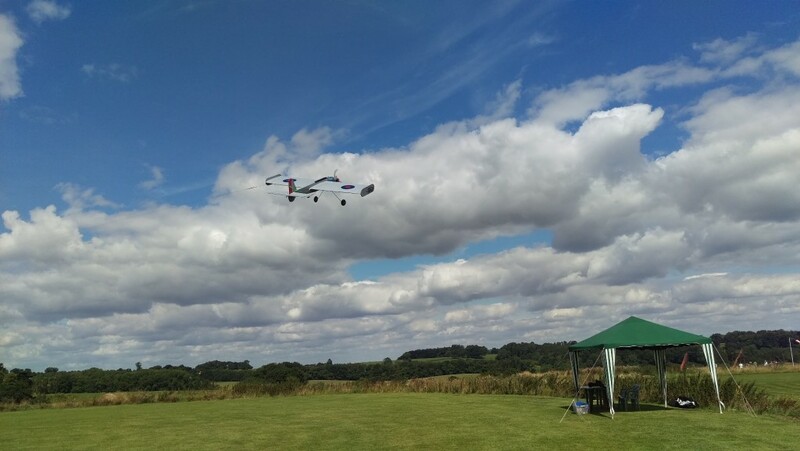 Zoe Quilter made a welcome return to Carrier flying this year, campaigning a relatively small electrically-powered Wildcat. There’s clearly been some practice put in here, as Zoe scored well compared with much lower scores at Old Warden, However, her lower-scoring flight here could have propelled her into third place with 223+ but for a zero-point landing; instead her second flight still made a creditable made seventh place with 197.87. I’ve no pictures of Zoe’s model at the moment, but will add some when I can. Nigel Crabtree is a perennial competitor at Leicester, and got his flights in early. 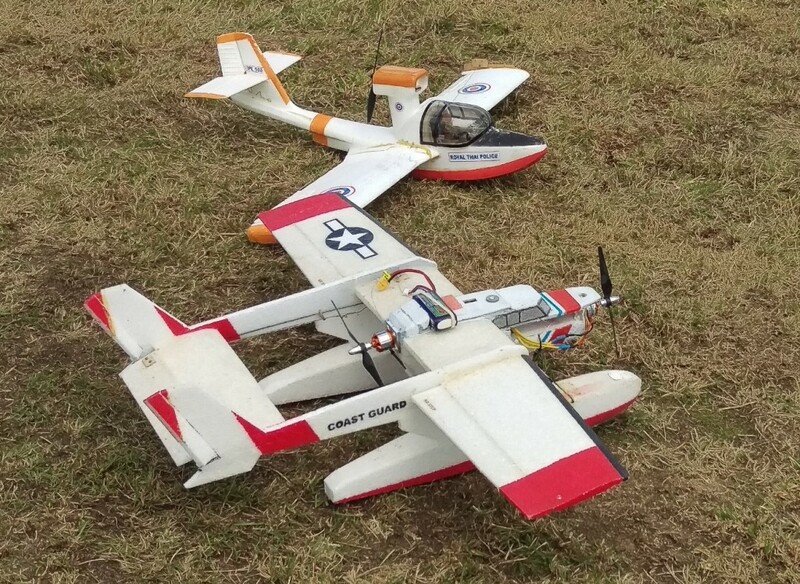 Using an electrically-powered Grumman guardian, his first flight ended in a ditching after a 42-second fast sector. His second attempt was much better, with 40.19 / 126.5 sectors, and a perfect landing, notching up 201.3 points. He couldn’t improve upon this with his last flight, despite a much faster 31.37 first seven laps, and an even better 131.31 for the slow. Why? a poor 40-point landing and two missed approaches robbed him of 70 points. However, his 201.3 score was enough to secure sixth place. The less said about your reporter’s attempts to top the leader board the better! I took three models along, expecting to only need one – the Dark Shark. 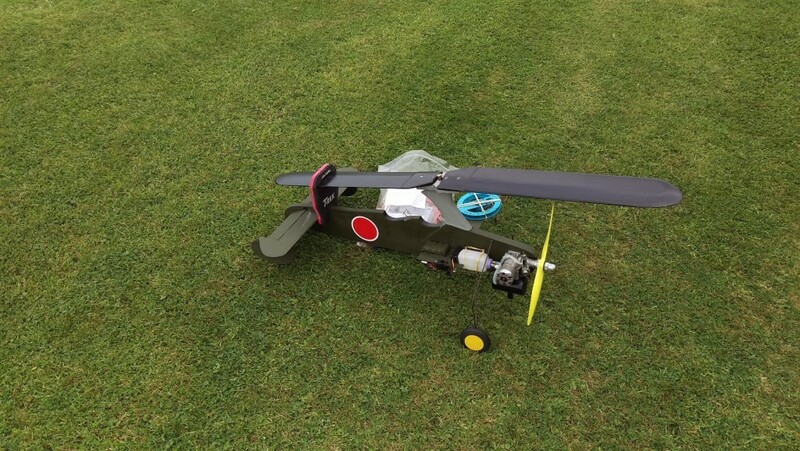 This is now in full flying order, and can fly in either class. However, it needed (like all the other models) to pass a noise-test, as the LMAC are very careful to give their neighbours no cause for complaint in this respect – they also impose an I/C engine curfew between 13:00 and 14:00 to make sure. Chris Hague journeyed up from Poole, and made the effort worthwhile by making two very consistent flights for a best of 211.9, using his immaculate Spearfish powered by a West .36 RR. A landing is a landing, but thank heavens for those springy undercarriage legs! Chris scooped 4th place with his 211.9 points. 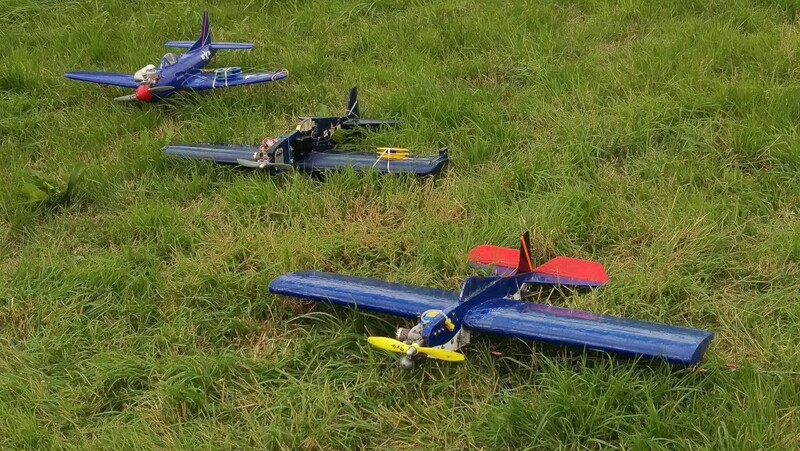 Andy Housden usually only needs one flight with his old but bold Seamew – why change a winning team? 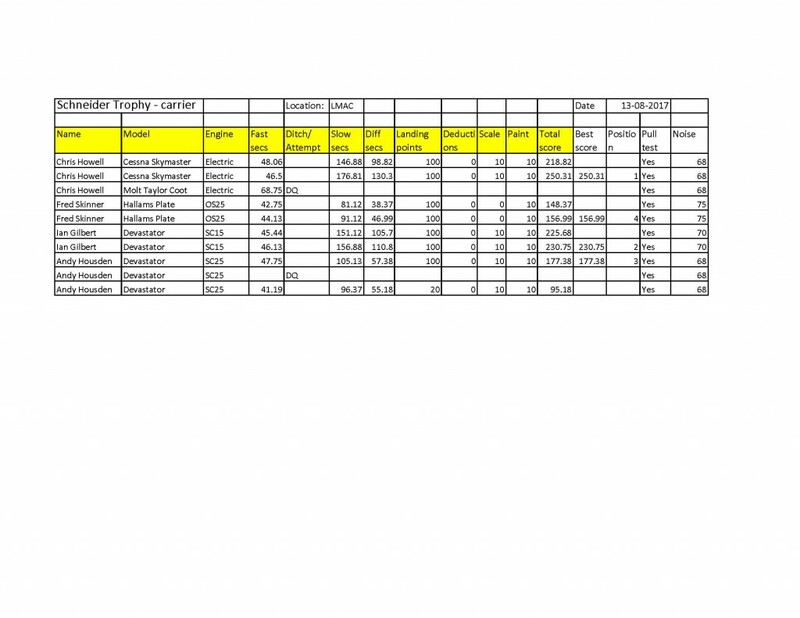 – and this was proven once agin with a fast segment of 33.81, a slow segment of 131.63, and a total score of 217.8 to take third place – well done Andy! 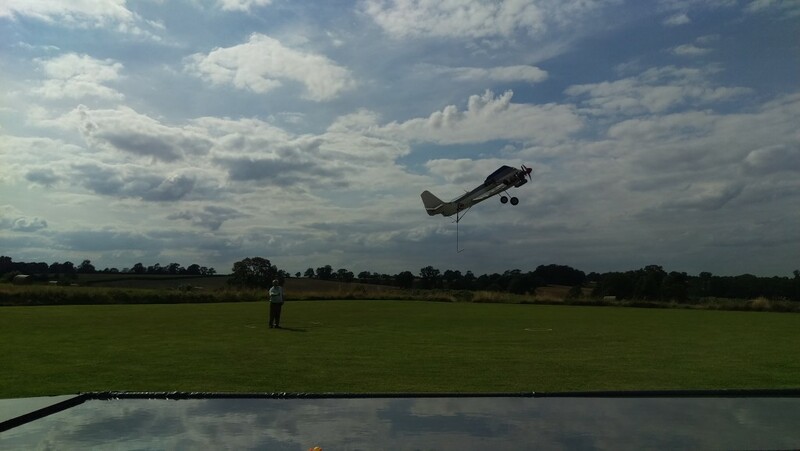 He also brought along an Autogyro, but I didn’t see it in the air. Perhaps it could loiter overhead, providing a plane-guard function next time? 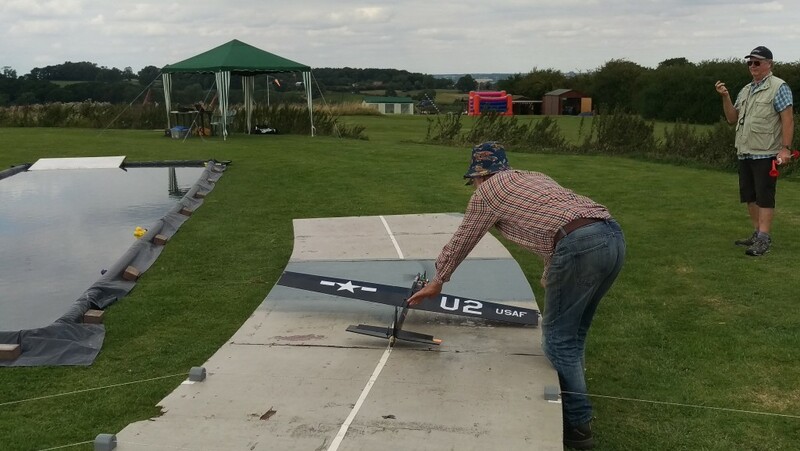 Ian Gilbert was once again the master of the circle, flying his black U2 with his usual panache, to take first place.With just an ASP .15 for power, it’s ample proof the a large wing area, a light build, and a perfect technique will always bubble to the top. 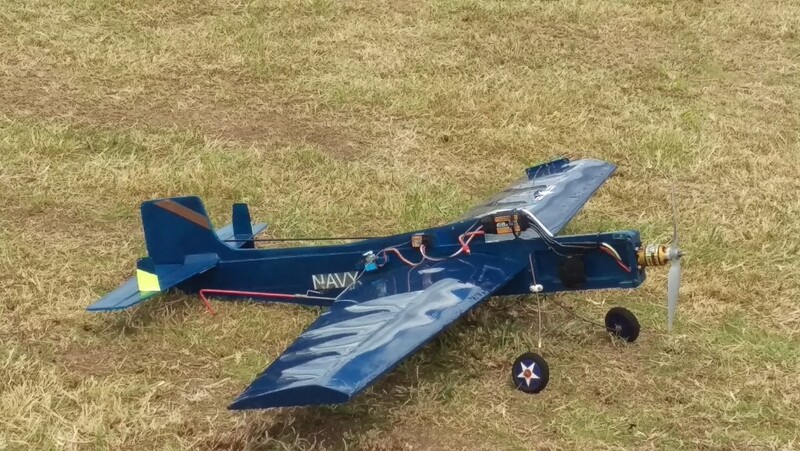 I didn’t get to see John Marsh’s Super Tigre .40-powered Gannet fly, but his first and only sortie put in the fastest first seven laps of the day with a 29.06, which, together with a modest 71.38 and a perfect landing, gave him eigth place with 162.3 points. Fred Skinner’s Conley-inspired Me109 has given him many 200+ point flights over the past two seasons, and this event was no exception. 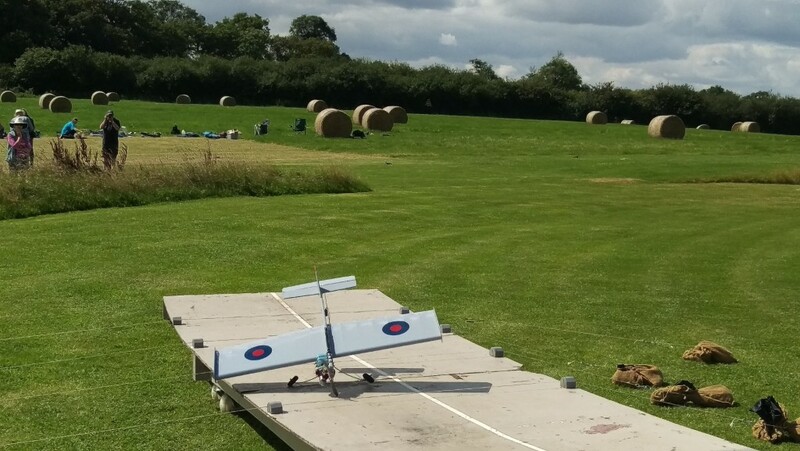 With the EVO .36 hauling the model around very rapidly, he too made a sub-30 second fast sector, and a slow sector just under two minutes (119.12) which netted Fred 5th place with a total of 209.2 points. The last two competitors had the misfortune to score identical points (0) and therefore to end up with joint tenth place. 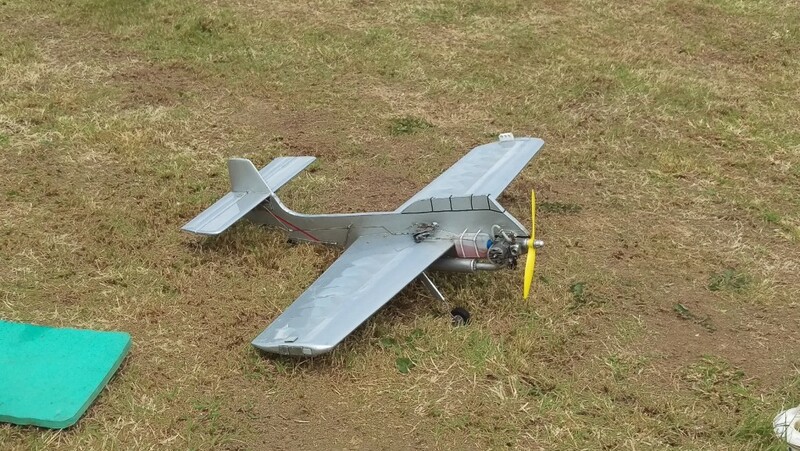 Bob Phillipps flew his battle-scarred mini-Seamew powered by an SC .15 that seemed to have some issues initially with fuel feed; in the end it was able to get the model off the deck three times, but these flights all resulted in ditchings or missed landings. 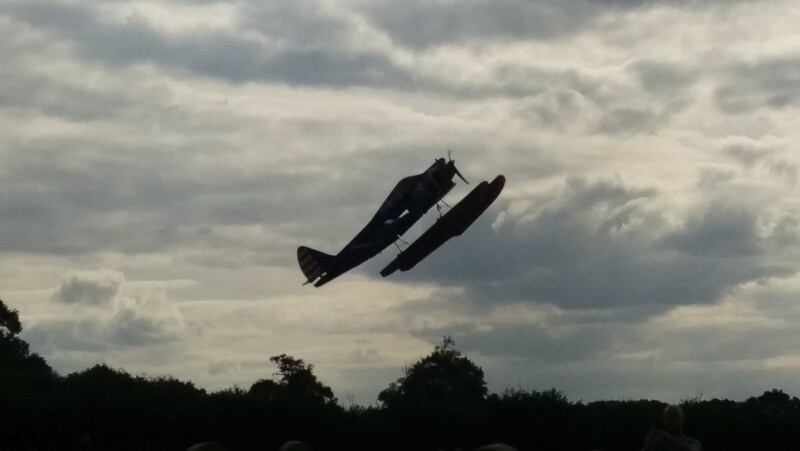 This isn’t Bob’s usual style at all – his Supermarine 508 has been very successful for him, and his flying skills are beyond doubt. 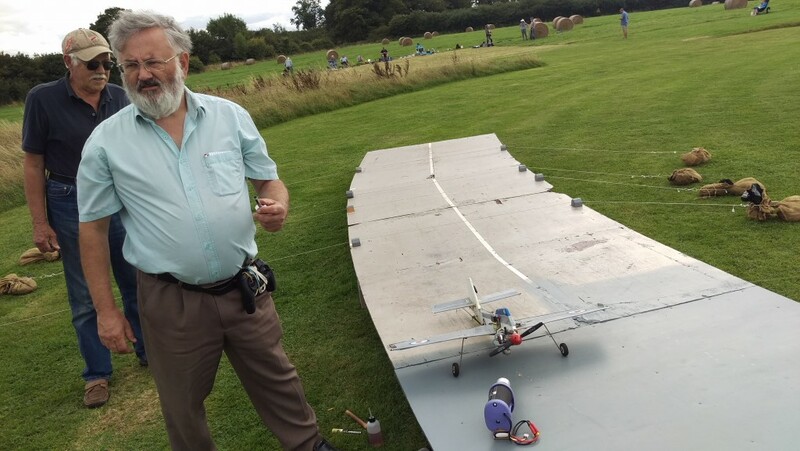 Maybe the effort he put in helping others on the day, the need to fly across the water tank on a misplaced centre circle on short lines at the end of a hot day had aa cumulative impact – you’ll be back Bob! 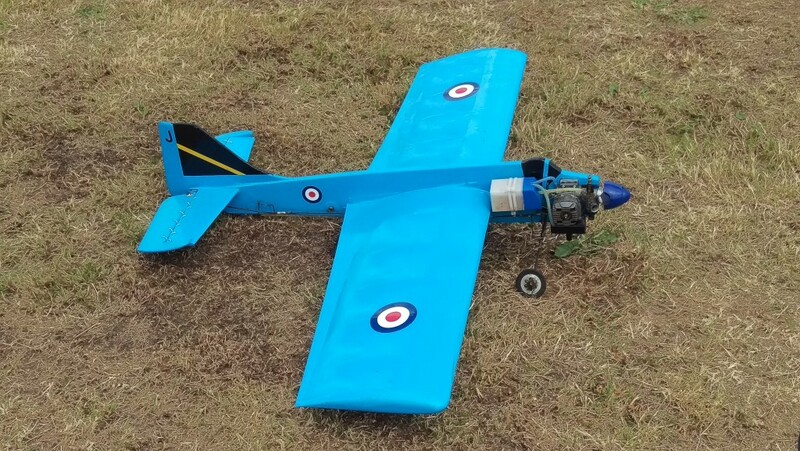 Last on the flying list was Dave Hughes, with his OS .40-powered Seamew. 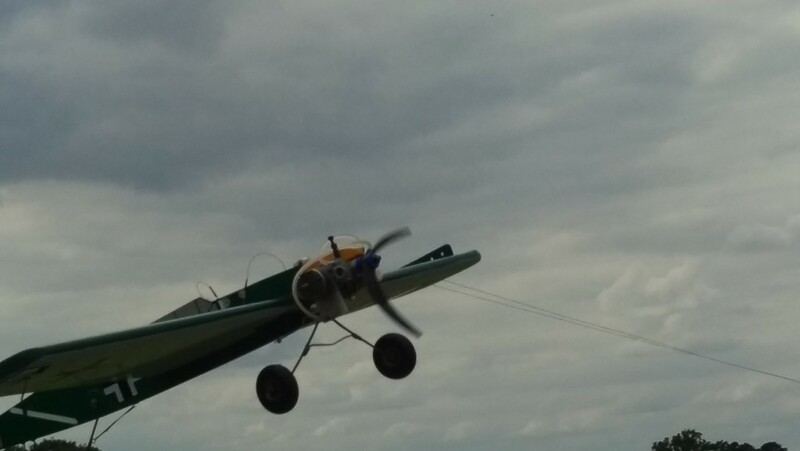 He had the misfortune to ditch on two flights, then had his throttle control stick wide open, leaving him little choice but to fly out what seemed like 100 laps (it probably seemd like 200 to Dave!) until the fuel ran out and another ditching.